It’s the moooost wonderful tiiiime of the yearrrr! Who is ready to get their holiday CHEER on? These girls are! Friends, Fun, and FOOD! All our Favorite F Words! 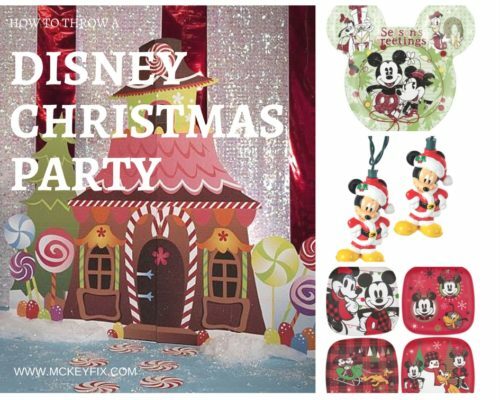 We love any excuse for a soiree, but around Christmastime, we like to kick it up a notch and sprinkle Disney all over the place. Here’s how you can host a Pixie Dusted Holiday Party, too, step by step. You can’t have a Christmas Party without Christmas Lights! 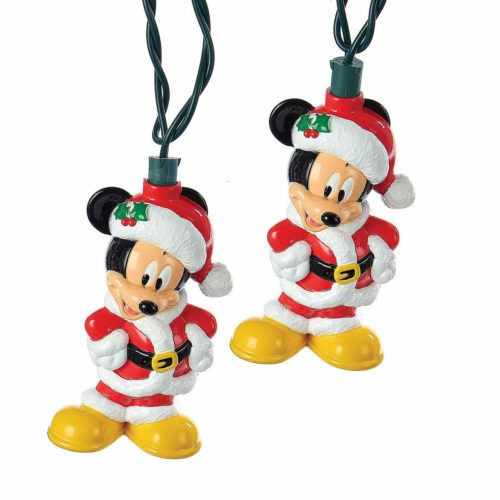 These Mickey Mouse String Lights are just the thing to set the tone for your Disnified Partay. Too much Mickey? (What? Me? Never!) Then give these subtle Mickey Icon Lights a look instead. 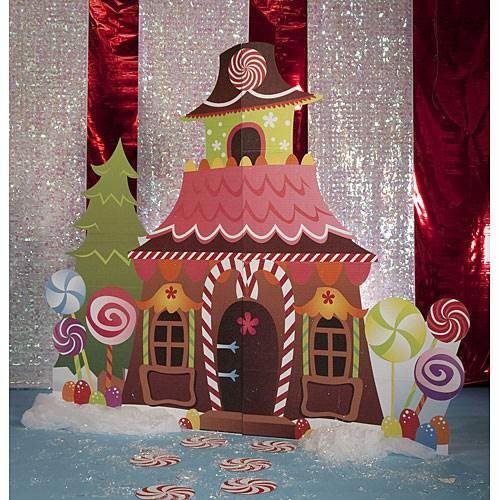 Make your guests feel like they jus twalked into the Grand Floridian with this Gingerbread House Prop at your entry. Make sure to snap a photo of your guests in front of it when they arrive, before they go into a food coma and/or spill something on themselves. This Mickey and Minnie Ears Backdrop makes for another cool photo op. This would be fun to use with some Disney Photo Props, too. 3. Hot Dog, Hot Dog, Hot Diggity Dog! You know, food just tastes better on Mickey Plates. It just DOES. 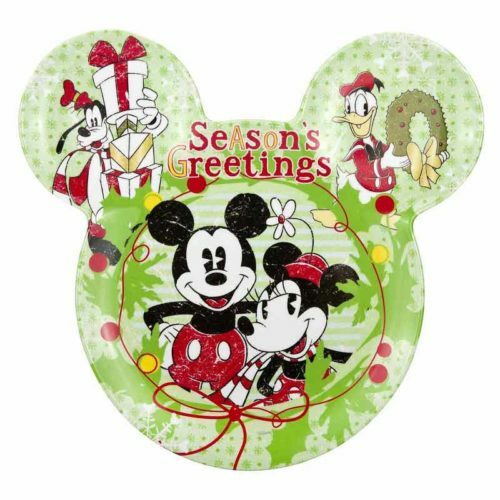 So, basically, the food you’re serving really just needs to be average in order to taste like MAGIC on these Minnie and Mickey Melamine Plates. 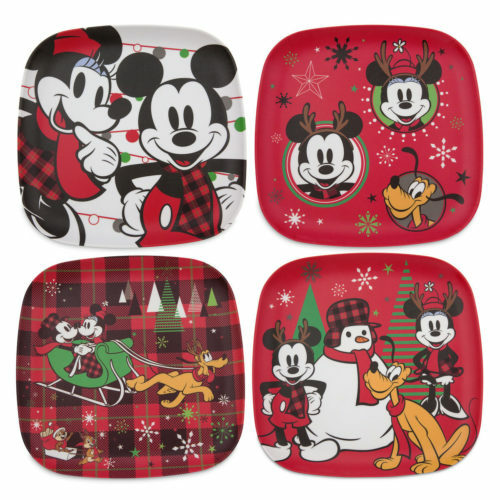 Here’s another option: these Mickey, Minnie, and Pluto Melamine Plates come in a 4-pack, so you can just order as many as you’ll need to feeding your tribe. We love Melamine Plates, since you can stick ’em in the dishwasher and use ’em over and over for parties from now until eternity. Here’s a great little number for serving appetizers or drinks on. 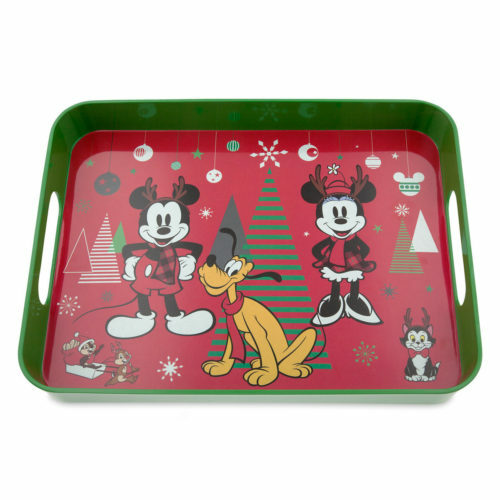 This Mickey and Friends Serving Tray will blend in perfectly with any red and green theme you’ve got going on. We found a great recipe for some Mickey Mouse Cupcakes over on Disney Family. They’re not necessarily holiday cupcakes, but they’re red and they’ll fit right in. They’re gonna look so dang cute on that Serving Tray! For sweets with a little more holiday flair, check out these Mickey’s Holly Leaf Cookies and Cinderella’s Christmas Mice Truffles! We love having parties because it’s the only way we can meet our board game quota. So, secretly, we’re just inviting you over and feeding you into a carbohydrate coma, just so you’ll crash on our couch and play board games with us until you have the will to stand up again. 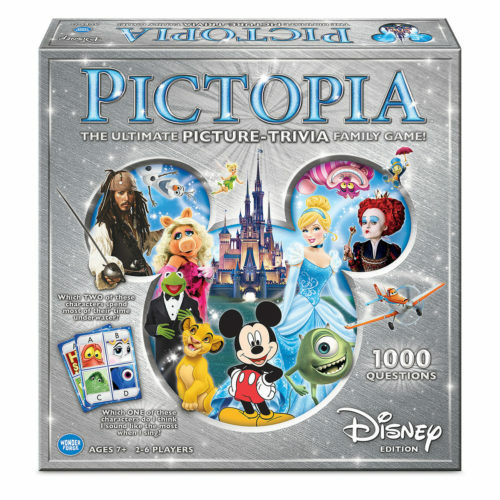 Disney Pictopia is one of our faves. All Disney. All Trivia. All Fun. Thanks for stopping by our party! Hopefully, we were able to give you an assist in helping you throw your OWN Disney Holiday Party! We’d love to know how it turns out! Be sure to check out the rest of our Disney How To Guides and all the other fun things we’ve found over on Mickey Fix!